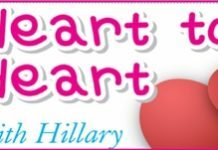 Home Blogs Heart to Heart with Hillary Sorry Love, we’re closed! The bar business doesn’t look too good right now. Quite a number of the bars, including some well known ones have closed. Even in Walking Street and now they are closing Soi 6 in the daytime. It is hard enough to make enough to live on for the girls, and this makes it impossible. There’s not much left for them, other than crime. Restrictions on the bar girls affect the economy all the way through to the grandparents living up country. When they make these rules and regulations don’t they ever think about their own people? Certainly keeps the lower paid people just at poverty level. I do agree with you in part, but not all. Prostitution has been illegal in Thailand for many years, so the bars are operating outside the law, but with the full knowledge of the police, and who tolerated the trade. Many reasons for this, but paying off the motorcycle is just one of them. The lower level police also have families which need financial assistance. This crackdown makes life even harder for them. These are the reasons the bar trade flourished, and makes it obvious why the lawmakers called in the Army to uphold them. However, you are not in danger, unless you park in the “Supercar” area in Central Festival.